I was beginning to worry this week that I’d never get a #countrykids post written. Our week so far has been pretty boring really! But then today we had our Home Education group get together and we all met at the home of a family who live on a smallholding. So this afternoon there was plenty of wonderful outdoor stuff happening! As soon as we arrived Jasmine headed for the pond. 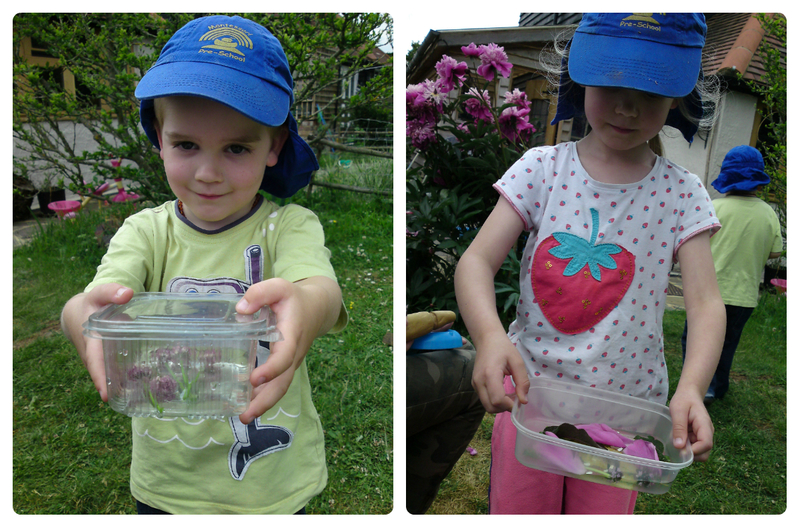 They have a wonderful pond in the garden full of tadpoles, frogs, fish, newts and (to Jasmine’s delight) pond skaters! 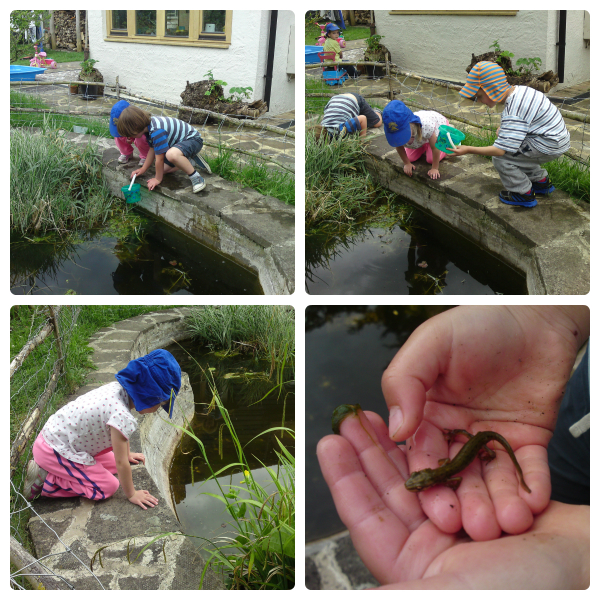 A large part of the afternoon was taken up pond dipping. The pond does have a “no net” rule at the moment because it has been over-pond-dipped by the kids, so today it was buckets and hands only. Not that that stopped anyone and they were still catching tadpoles, frogs and newts. At one point there was a frog in a watering can and a newt in the underseat compartment of a ride-on toy train! 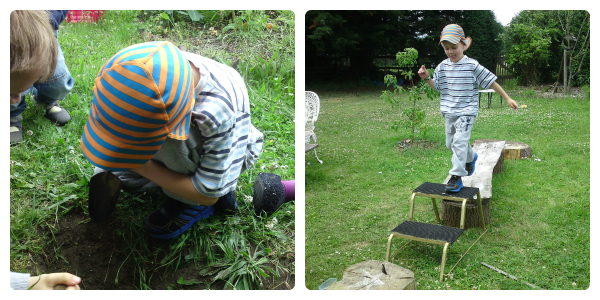 Whilst Jasmine was busy at the pond, Thomas did some digging and ran over the obstacle course that had been built. The other activity that was planned for this afternoon was perfume making, using herbs and petals from the garden. All the kids loved doing this and gave special thought into what they wanted to put in to their mix. Thomas chose to use just mint leaves, whereas Jasmine and Ben both used a combination of different herbs and petals. Once they had selected the ingredients, we added a little water and used a pestle to crush it all together. We have brought the perfume home and Thomas has asked for a squirty bottle to keep his in! I think I’ll be hunting three out tomorrow! The final thing we did before heading home was to collect the eggs from the chickens. This looks like like life on our farm. We really must get back down to our lake with the fishing nets, they are bursting with wildlife at the moment. I love the idea of a home education group, a great way to meet up and inspire one another.